BERNINA is sponsoring the upcoming July 10 Talkin’ Tuesday Twitter chat, where we’ll be talkin’ up summer sewing! Talkin’ Tuesday is a weekly sewing chat on Twitter, a free social networking website that lets you share short messages, better known as “tweets,” with your circle of friends. Talkin’ Tuesday, also known by the abbreviated Twitter hashtag #talknt, is a fun way to meet other sewers in a virtual community and to talk about one of our favorite subjects, sewing! Read more by visiting the official Talkin’ Tuesday blog. Join us on July 10 for #talknt when we’ll be chatting about all things related to summer sewing! We’ll be discussing what you love to sew in the summertime, what new projects/techniques/patterns you’re sewing, and we’ll even have a little summertime show-and-tell. And, be sure to sign in to the Talkin’ Tuesday blog the day of the Twitter Chat to be entered to win one of three great prizes from BERNINA USA! We’re giving away not one but two Swiss Sew Essential tools, the only way to be prepared for any sticky sewing situation. The pocket sewing tool includes 17 different can’t-live-without sewing tools, including a seam ripper, needle threader, seam gauge and buttonhole measurer, scissors, magnet for pins and needles, and a rotary cutter. 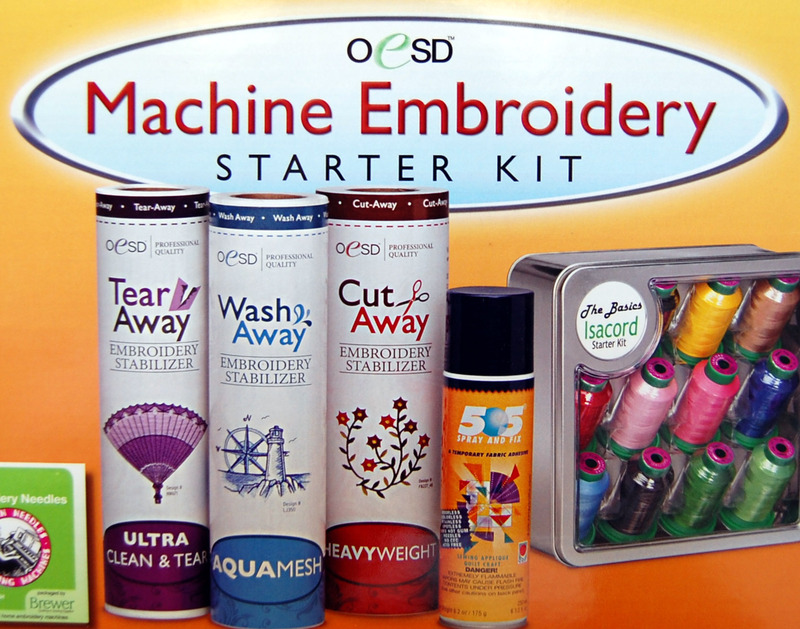 You’ll also have a chance to win a fabulous Embroidery Starter Kit from OESD that includes everything you need to start sucessfully embroidering in one big box. This kid includes one roll each of OESD stabilizer (WashAway, CutAway, and TearAway), 12 colors of Isacord thread in a collector’s storage tin, 505 Spray Temporary Adhesive, a Stabilizer 101 reference brochure and printed Isacord Thread Color Chart. Don’t forget to sign up for the chat on July 10th at the Talkin’ Tuesday blog to be entered into our prize drawing. Contest is open to residents of the United States and Canada only. 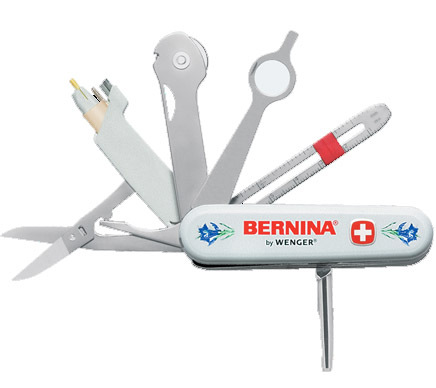 Be sure to follow @BerninaUSA at Twitter!